The DurbanGeek ~ IT Solutions: Do i need to install an Anti Virus on my Windows 8 Operating System? Do i need to install an Anti Virus on my Windows 8 Operating System? 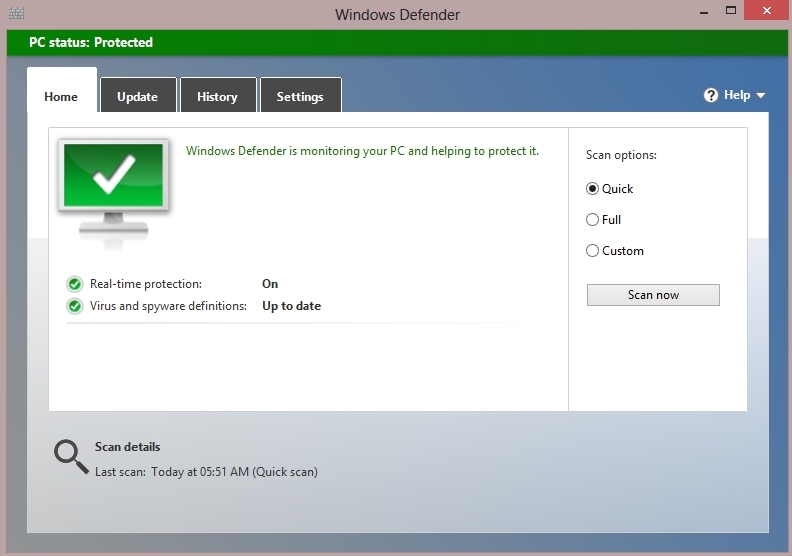 Windows users are now protected from viruses and other malicious software, right from the start, with Windows Defender . Windows 8 combines the features of the Windows Defender found in Windows 7 with those of Microsoft’s Security Essentials software. It is a lightweight security solution, but many free and paid for Windows 8-compatible security products are available from the usual third parties. To avoid falling foul of antitrust laws, Microsoft disables Windows Defender if any other comparable security software is installed.